For years I've enjoyed sharing my thoughts on emerging trends with you here at Investment U. I've covered everything from commodities to tech stocks to seasonal investing and beyond. As you're probably aware by now, Investment U is undergoing a transition. And this, sadly, will be my last column for the publication. So I want to leave you by covering two of my favorite investing trends... which happen to be colliding. Memorial Day weekend is now behind us. 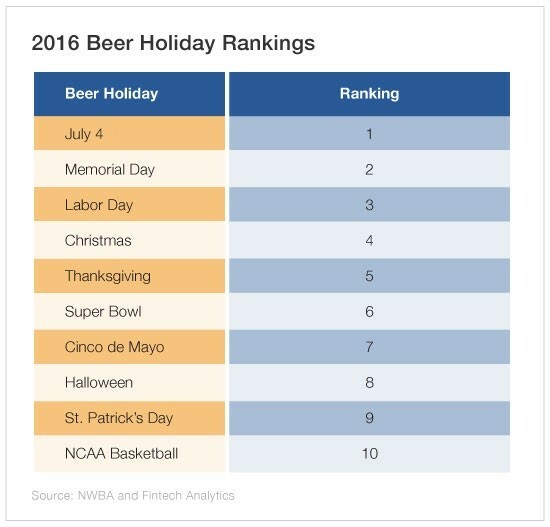 While it traditionally marks the start of summer, the holiday also marks the start of one of my favorite - and one of the most profitable - times of the year: beer-drinking season. A lot happens this time of year to spark an uptick in drinking... besides the fact that parents have to deal with kids being home every single day for the next few months. The sun doesn't set until after prime-time programming hours. The barbeque gets dusted off and rolled out to its place of prominence on the deck or patio. Family and friends bask in the warmth of the evenings and lazily finish off coolers of cold ones. The NBA and NHL wrap up their playoffs, while the MLB just starts to hit its stride. The only time Americans drink more beer is when we celebrate our independence on July 4. Though all's not well in the world of beer. For example, in 2006, 65% of alcohol consumed by 21- to 27-year-olds was beer. By 2016, this had tumbled to 43%. And beer sales now make up only 46% of the total U.S. alcohol market. Now, that doesn't mean beer - or beer season - is dead. There are states seeing growth. But there's a new emerging threat that's poised to hurt beer sales even more. In Colorado, Oregon and Washington, beer sales (especially those from large brewers) have fallen sharply over the past two years. 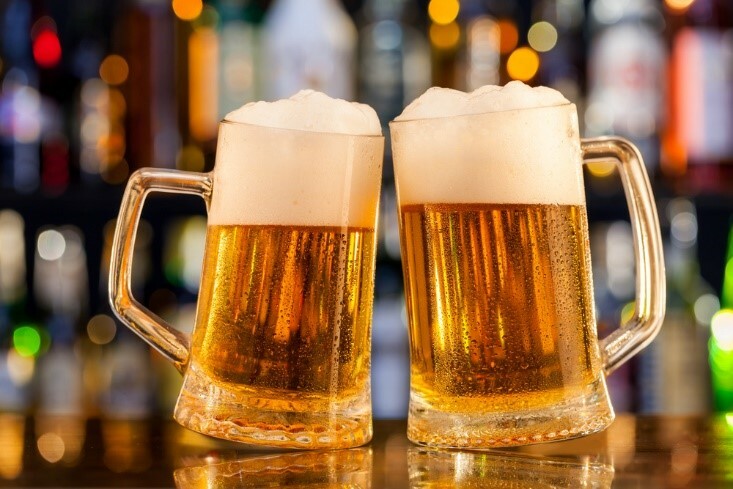 MillerCoors and Anheuser Busch InBev (NYSE: BUD) witnessed sales of Coors Light and Bud Light slip nearly 4.5% each in those three states. Meanwhile, sales of Budweiser and Coors overall have inched 2.4% lower. And in Denver, total beer volumes fell 6.4% in 2016. What do those three states have in common? They all legalized recreational marijuana sales. It's not just the shifting tastes of younger consumers turning their noses up at beer in favor of wine and spirits. It's also the arrival of legal, adult-use cannabis. This is the biggest potential threat to the beer industry right now. In fact, in 2016, the amount of money people spent on legal pot products hit $647. That topped the average $645 people spent on alcohol annually. And this is why we've seen a major push from alcohol companies - not tobacco companies - to acquire either stakes in or partnerships with large cannabis producers. In February, fellow Canadian cannabis producer Aurora Cannabis (TSX: ACB; OTC: ACBFF) bought a stake in Liquor Stores N.A. In May, Aurora increased its stake in the alcohol distributor, which changed its name to Alcanna (TSX: CLIQ) - signifying a combined alcohol and cannabis approach going forward. In April, Lifford Wine & Spirits launched a subsidiary called Lifford Cannabis Solutions. And just days ago, Great North Distributors announced a distribution agreement with Aphria (TSX: APH; OTC: APHQF), another international cannabis powerhouse. This allows Aphria to sell its adult-use cannabis products throughout Canada in the liquor distributor's locations. Great North Distributors is a subsidiary of Southern Glazer's Wine & Spirits, the largest wine and spirits distributor in North America. And another interesting fact is cannabis sales have a similar seasonality as beer sales: They spike during the summer months. And that isn't too surprising since it's the height of the tourist and summer concert seasons. Marijuana investing is the sector to watch in 2018, especially with the midterm elections on the horizon and four more states weighing cannabis measures. But it'll also be a major investment story for years to come. And "big alcohol" has woken up to the threats the industry poses... as well as the opportunities. Savvy investors must do the same. As Matthew mentioned, beer-drinking season marks the beginning of summer, which also happens to be concert-going season. And while you may not be headbanging at the latest Coachella festival (if you don't even know what that is, ask the grandkids), you certainly can dance to the beat of the drums. I think one of the great trends in recent years is the amount of money targeting experiences, not just things. Over the past decade, U.S. consumers have increased their spending on experiences by $5 billion per year. This trend is expected to only increase and grow stronger in the years ahead. Live Nation Entertainment (NYSE: LYV) owns and operates 150 entertainment venues, as well as another 268 facilities across the globe. It also sells tickets and provides resale services through its websites livenation.com and ticketmaster.com. Now, concerts and music festivals are summertime staples. Last year, Live Nation increased its festival portfolio to 97 in 14 countries. And 27 of those festivals drew crowds of 100,000 or more. So it might not come as a shock that over the next several months, Live Nation shares see their strongest period of the year. Since 2006, Live Nation shares have fallen in May only once. And that was back in 2010. During the past five years, shares have gained more than 9%. That's exciting since May is when a lot of sectors start seeing a change in momentum as the "summer lull" starts to creep in. But Live Nation's strength has a lot to do with earnings. As we can see from the company's quarterly revenue, even though the first quarter is its slowest of the year, revenue explodes higher from there. In 2017, Live Nation reported revenue increased 24% to a record $10.3 billion. It was the seventh consecutive year of record revenue. Plus the company saw growth across all three divisions - concerts, sponsorship and attendance. Speaking of which, Live Nation's concert attendance rose 21% to 86 million last year, which boosted concert revenue by 26%. In the fourth quarter, concert revenue shot up 53% to $1.84 billion. It's worth noting that mobile isn't just disrupting traditional shopping or entertainment channels. The platform is increasingly important to ticket sales. Live Nation saw mobile ticket sales increase 35% to account for a third of all ticket sales. In the first quarter, Live Nation reported revenue of $1.5 billion, beating Wall Street's expectations. And this is expected to surge to $2.91 billion in the second quarter and spike even higher in the third as NFL season comes into play. These are the two biggest quarters of the year for the company. And they're where a lot of growth and attention is going to be given. Our Prime Period is designed to capture as much of that as possible. So it extends from now until November. Over the past five years, this Prime Period on Live Nation shares has offered investors an average gain of 31.8%, with a 100% success rate. Meanwhile, during the Non-Prime Period, from November until April (when we don't want to hold shares), shares have averaged a single-digit loss. And they have fallen more than 11% during this time twice in the last three years. Live Nation was already a large concert and ticketing company. But when it merged with Ticketmaster in 2010, it grew exponentially. Buy shares of Live Nation Entertainment at market. Use a 20% trailing stop to protect yourself. Our projected holding period is until November.